There are so many different uses for a coat rack, from hanging clothes in a child's room to substituting as a towel rack in the bathroom. 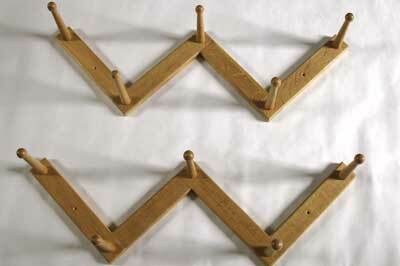 Below are many different types of coat racks and hall trees just waiting to be built! 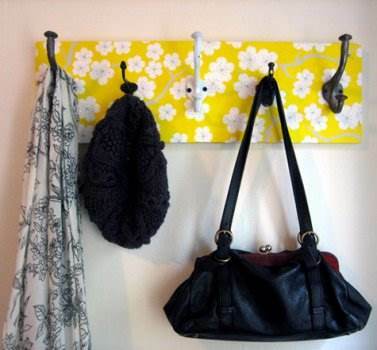 Paint a single board then add on some metal hooks for a handy place for hanging, keys, sweaters and more. This wall mounted organizer is easy to make plus has hooks to hang outer wear and mounted wire baskets for mail and/or gloves. 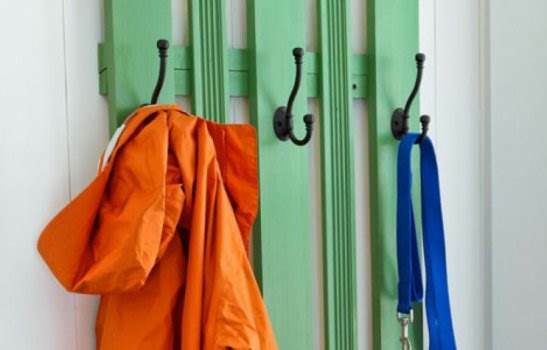 Take five cast iron double hooks then attach them to a 5 foot long piece of lumber for a wall-mounted coat rack. 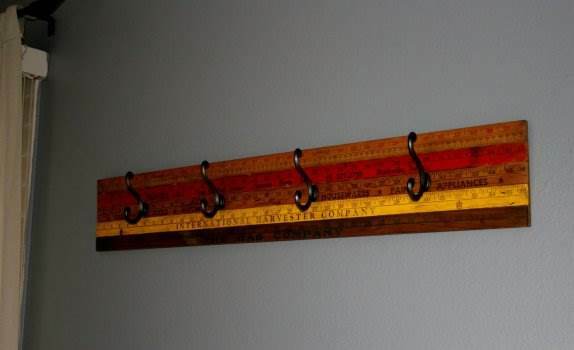 Here are instructions on how to make a coat rack out of wooden rulers and a few ornate metal hooks. 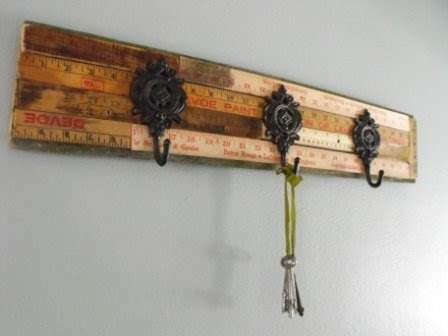 Create this lovely wall piece using vintage door knobs for hooks mounted on a piece of painted pine wood. 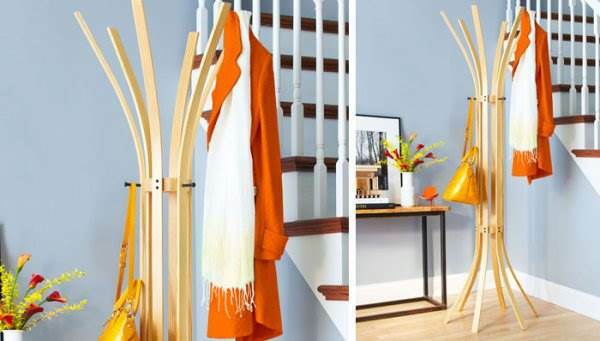 Here are six steps to help you build a coat tree using bendable wooden strips and glue. 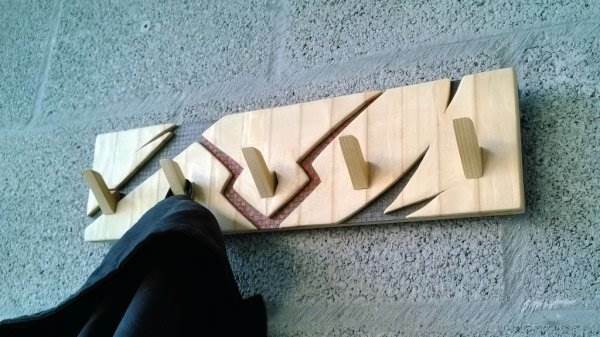 Glue together a few yardsticks to create this unique coat rack for home, school or office. 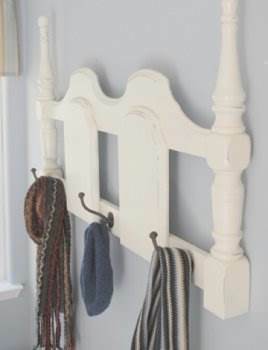 You can re-vamp a twin bed headboard by turning it into a one of kind wall-mounted coat rack using this plan. Build this good-looking shelf with hooks using a couple of pieces of lumbar and some molding. 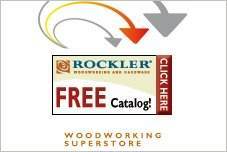 This detailed plan will help you make a strong and sturdy hook rack with an upper shelf. 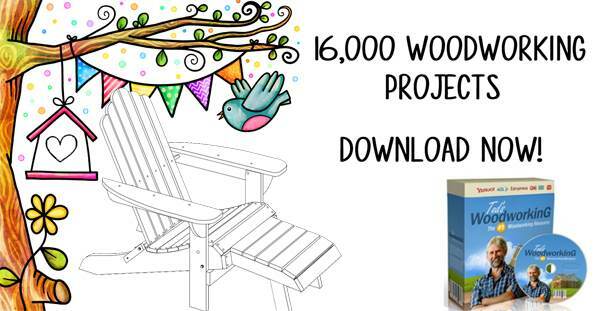 Use your woodworking skills along with this step by step plan to build a peg board for hanging hats and scarves. 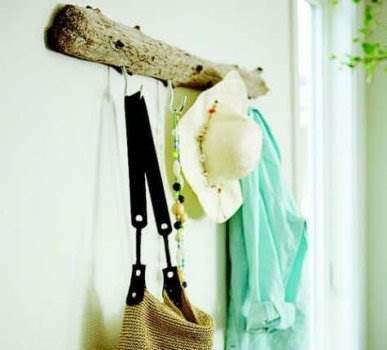 Place different styles of hooks onto a papered board for a cool and quirky wall rack for anywhere in the house. Here is a downloadable project for creating a hanging coat rack for your entry way or mud room. 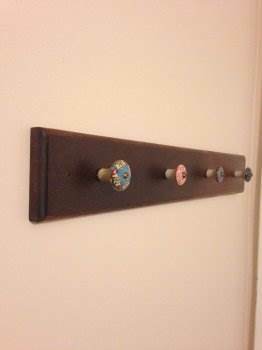 Here is an easy to follow plan for making this cool coat rack that's a perfect fit for a kid's room. 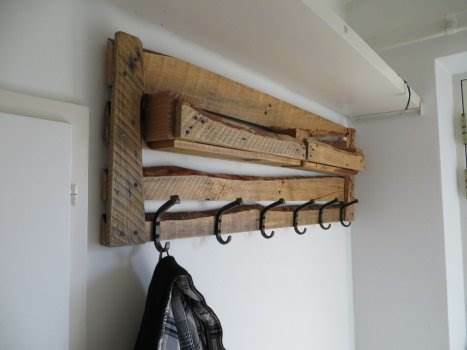 With little time and money you can turn a piece of driftwood into a unique wall-mounted hook rack. Tear down an old wooden pallet to make this rustic coat rack with mounted double hooks. 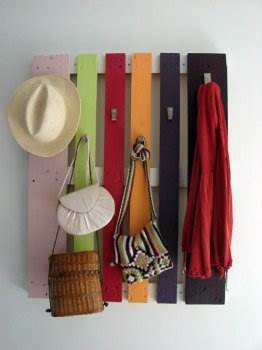 This simple plan takes a wooden pallet and with a little paint and a few hooks turns it into a cool looking wall rack. 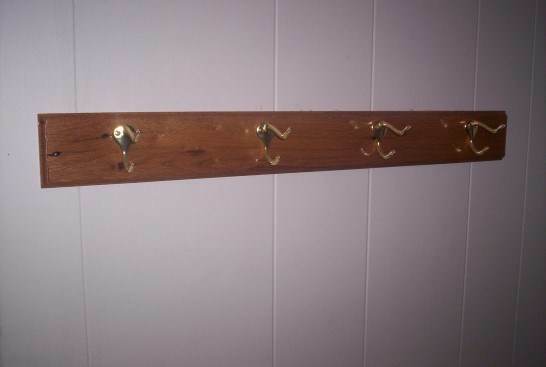 With just a wooden board and some metal hooks you can easily create a coat rack to mount on a wall in your home. 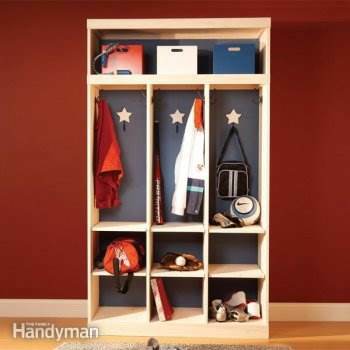 Here is an easy to build storage unit that fits great in the entry way or mud room and keeps shoes, coats and other items easily accessible.